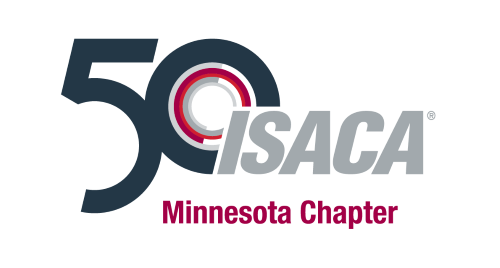 Welcome to the ISACA Minnesota Chapter. This chapter is a leading local provider of knowledge, certifications, community, advocacy and education on information systems (IS) assurance and security, enterprise governance and management of IT, and IT-related risk and compliance. With approximately 1200 members from over 100 organizations, we are the premier organization for information technology audit and control professionals in Minnesota and surrounding areas. Participate in the ISACA Knowledge Center: www.isaca.org/knowledge-centerFollow ISACA on Twitter: https://twitter.com/ISACANews.